This is hosted at our store in Greenup. For the Lexington class, click here. 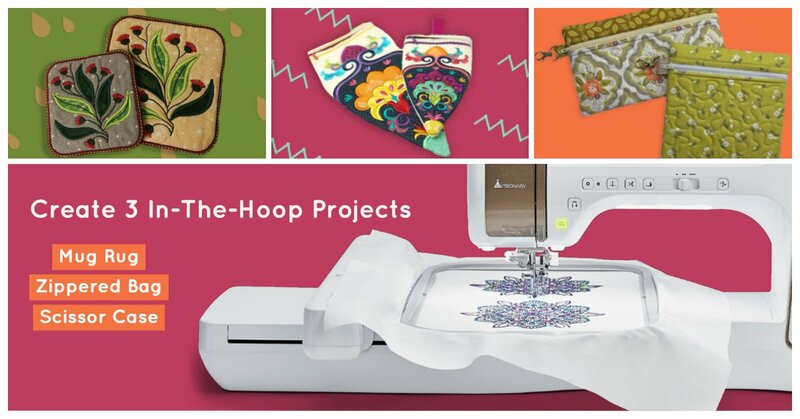 Embroidery Expo is perfect for anyone new to embroidery or anyone who wants to give it a try! During the event you will have hands-on access to multiple embroidery machines, including the Solaris! Special pricing for machines will be available to all attendees! Materials Included: Ticket includes cost for all three project kits. Requirements: No previous knowledge of embroidery or sewing required!